The structure of the global settings is defined as follows. On the Details tab, you set the parameters that you want to modify. See Specify global settings details. On the Importers tab, you define the importers that you want to use. 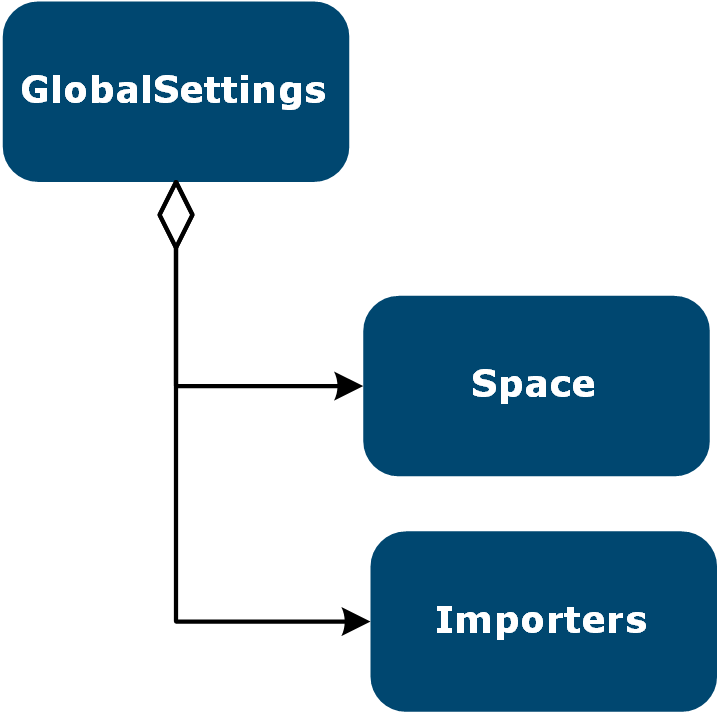 See Specify global settings Importers. On the Spaces tab, you add a space by setting a name, an editable flag a partition policy and a security type.